Georg Jensen Sterling Silver Bangle Bracelet No. 17B. 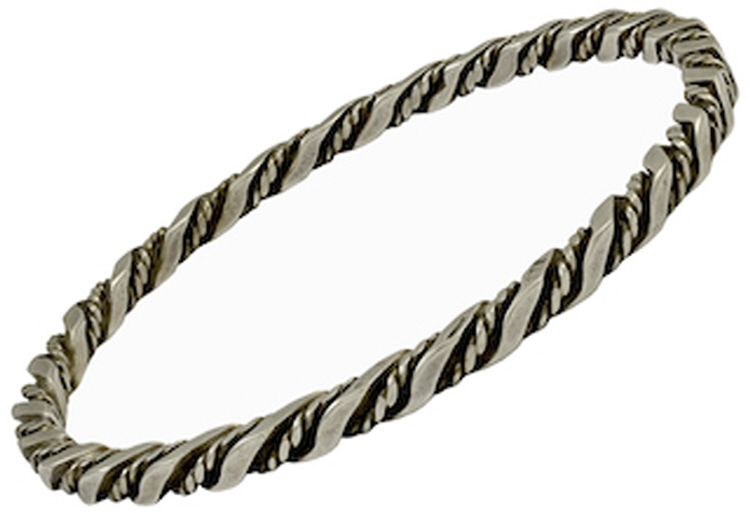 This bracelet has interior diameter of 2.5 inches and is approximately .25 inch wide. The bracelet bears impressed company marks for 925S, Denmark, 17B.